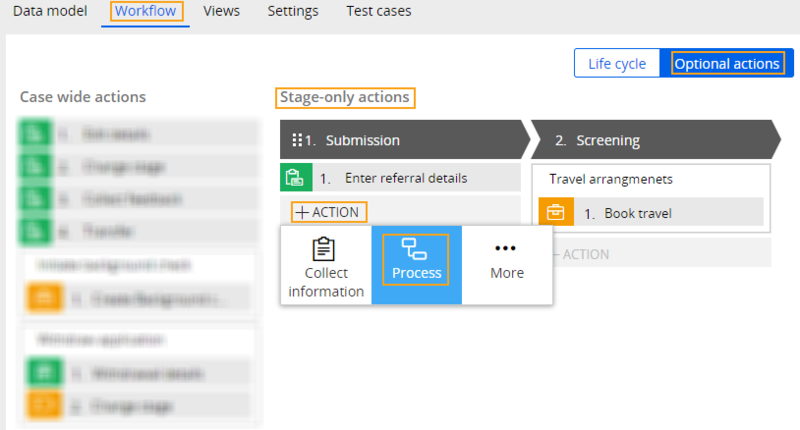 User actions are tasks or workflows that users can complete while processing cases. 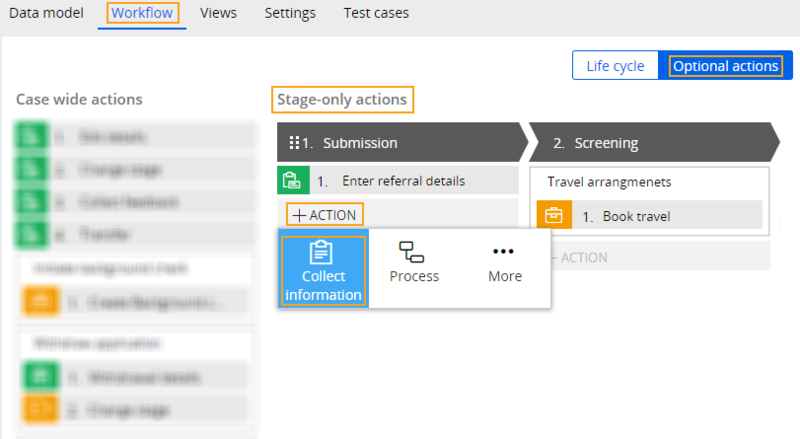 By selecting the actions that are relevant to their case, users can resolve cases more quickly. 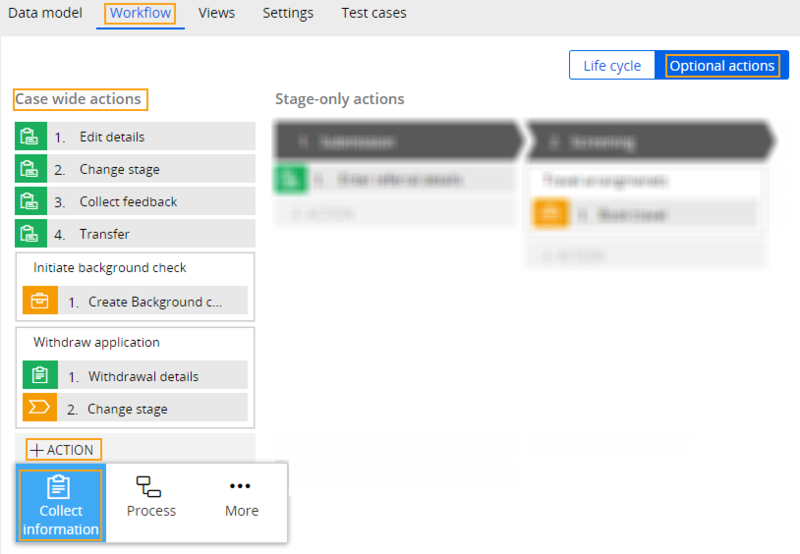 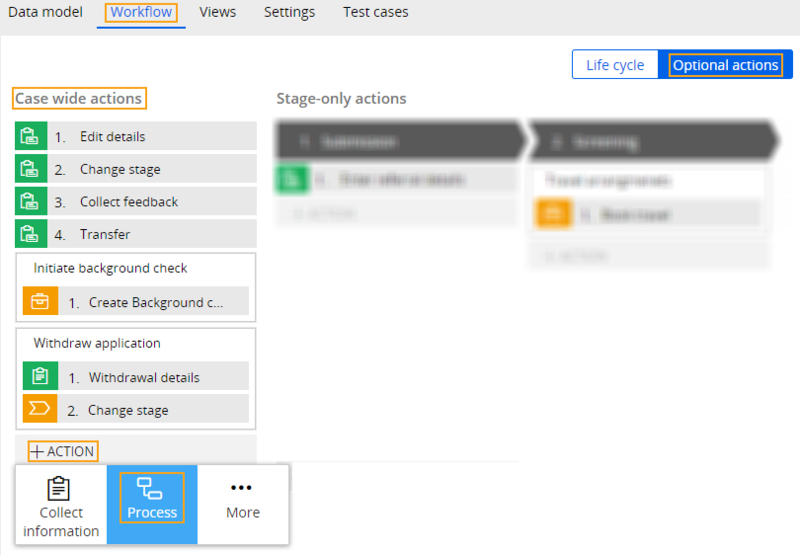 You can define user actions by clicking Optional actions on the Workflow tab of a case type.